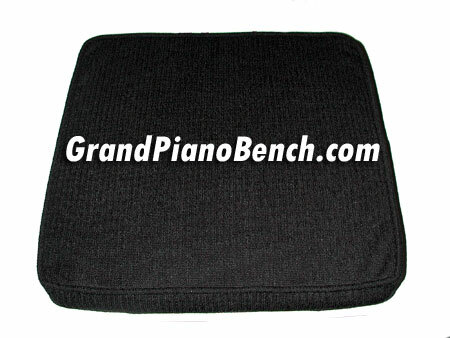 This piano bench booster cushion is just the right size to give you that extra little boost you may need on your piano bench. Excellent for children who have trouble reaching the keyboard. 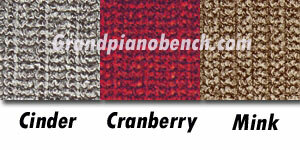 The piano bench cushion attaches with 2 sewn in tie strings. 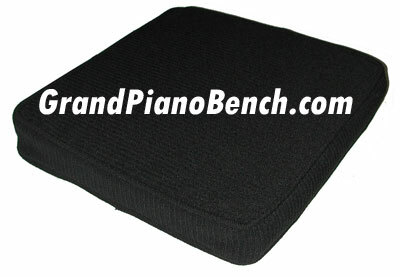 These 'Soil & Stain Resistant' box-edged cushions are made of our premium soft acrylic/polyester fabric and are thicker than our standard cushions. 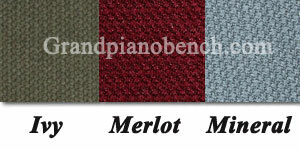 We offer free shipping on all piano bench cushions to the continental United States. Alaska, Hawaii and International shoppers, please email us for a shipping quote (including your address and the product you are looking at).